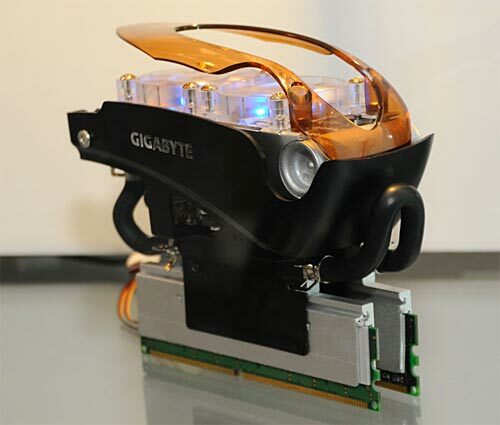 Check out this water cooling kit for PC memory from Gigabyte. The water based cooling system supports memory in dual channel and has an ultra slim pump and water tank. The radiator is based on a flip open design and has a 5cm fan for keeping the temperatures down. The system features two heat spreader units with allow the liquid inside the system to move the heat away as quickly as possible. ‘Cool Rain’ is pretty stylish and the blue LED is the icing on the cake. Though it may look complicated Cool Rain is very easy to install and supports single / dual sided RAM alike.